Bisimoto 2012 Honda Civic Si Coupe on display at the 2011 SEMA Show. Bisimoto Engineering is known worldwide for awe-inspiring street, show and race vehicles. With no fear of the unknown, Bisimoto is always on the cutting edge of automotive technology. 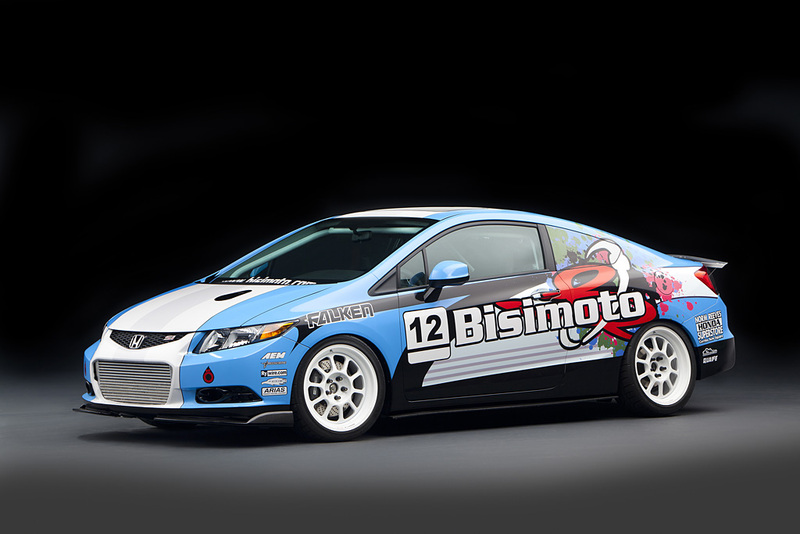 The Bisimoto 2012 Civic Si Coupe was no exception with a 1004+ hp turbocharged, factory-based new K24Z7 powerplant, which embraces the “Civic for all people” vision: a street friendly time attack, drag, and road race flex-fuel concept chassis.